SARAP, a Filipino pop-up recently at The Duke's Head in Highgate has now popped up at Coffee Is My Cup Of Tea at 103B Dalston Lane, E8, serving authentic Filipino BBQ and Lechon (whole suckling pig), on Wednesday to Sunday nights until Christmas 2018. Budgie, the founder, does amazing things with meat - his chicken is out of this world - so this is a 'must do'! 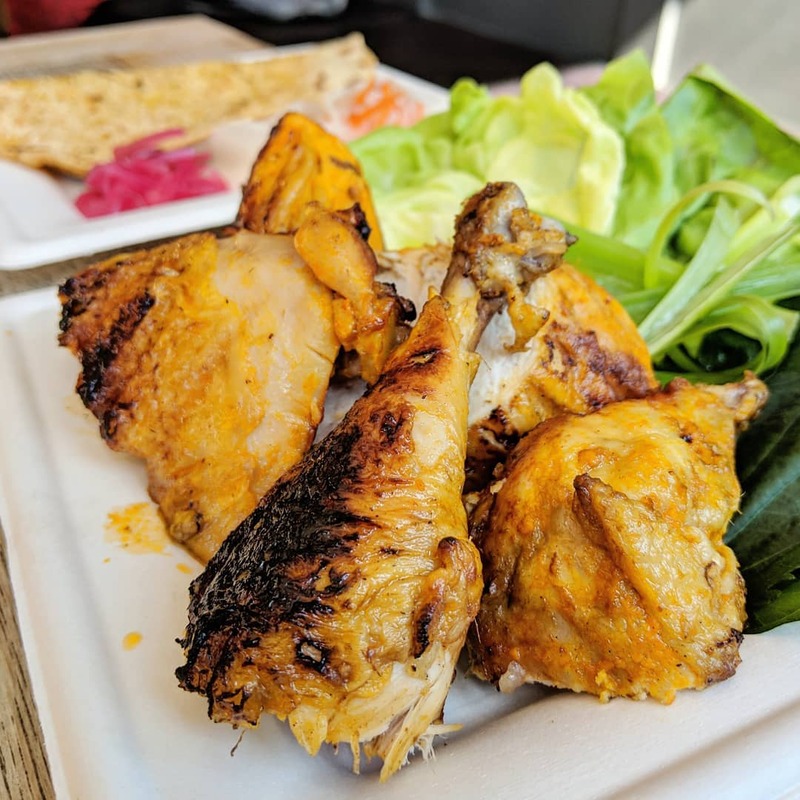 "SARAP Filipino BBQ & Lechon has a simple mission – to take the authentic flavours of the Philippines and deliver it in a local and contemporary narrative. Created by Ferdinand “Budgie” Montoya (former Head Chef of Foley’s Restaurant Fitzrovia) and inspired by his roots. SARAP aims to create an identity for Filipino cuisine, We draw inspiration from the rich flavors and culinary techniques of the 7,000 islands that make up the Philippines. The approach is simple - source the best ingredients, cooked over charcoal to showcase their incredible flavours. Served simply in the form of sharing plates coupled with a small, well curated drinks menu."